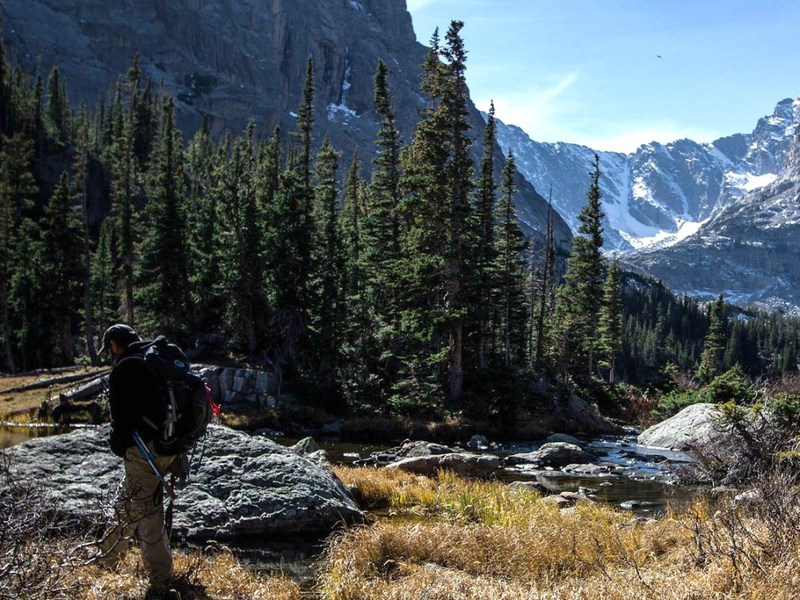 Moraine Park is the gateway to Colorado adventures, whether it is backpacking, hiking, mountain climbing or snowshoeing. This valley in Rocky Mountain National Park is a photographer's delight and has many trails to explore. Moraine Park in Rocky Mountain National Park (RMNP) is a spectacular place to witness the powerful evolution of Colorado’s mountains. The park itself is a flat plain carved out by glaciers and within this valley are herds of elk, countless wildflowers and expansive views of the high peaks. Some of the park’s best lake hikes start from this area, including Mills Lake, Cub Lake, Fern Lake and Bear Lake. The sheer access to so many wonderful areas in the heart of the park make Moraine Park one of the premiere destinations in Colorado. For those looking for more isolation, it usually only takes hiking two or three miles to get away from the crowds and find yourself in the thick of the wilderness. Past the long trails in the valley are the high peaks in the park and backpackers can combine one of these summits with a unique overnight experience. Camping at the official campground at Moraine Park Campground is popular and thus reservations are a good idea. At 8,150 ft., the views of the night sky are clear and bright and the chance to start the day with a fantastic hike add to the value. Backpackers often start from here to explore the deep glacial valleys and remote sections of the park. Permits are required for overnight stays in the backcountry and can be obtained at the park offices. Those who enjoy lakes, rivers and mountain views in an alpine setting will delight in the forested valley hikes. 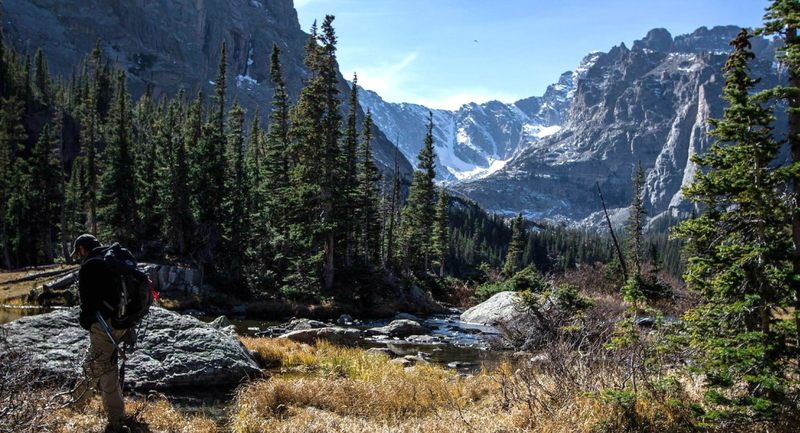 Backpackers and peak baggers will enjoy getting far away from the roads and into the backcountry, where the hidden side of RMNP awaits. The Moraine Park trailheads (there are several) are accessed from the east entrance of the park along Hwy 36 in Estes Park. Shortly after entering the park at Beaver Meadows, turn left (west) onto Bear Lake Road towards Moraine Park. There are several trailheads along this 8.0 mile stretch. Visit the official Rocky Mountain National Park site for more information. It is $20 for a seven day pass or $40 for a season pass. Camping is $20 per night at Moraine Park Campground during regular season (when running water is turned on) and $14 in the off season (when water is turned off). Backcountry camping permits are $20.